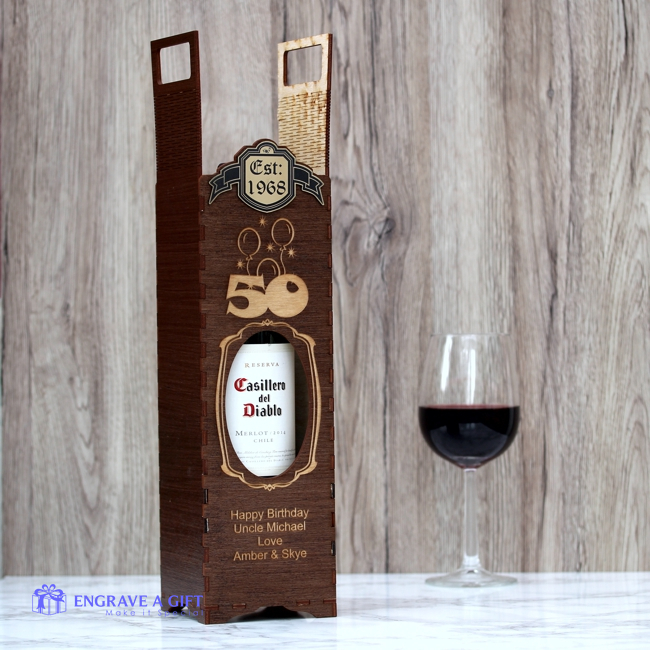 Vintage style dark stained wooden wine gift box handmade in our workshop. A wonderful vintage style handmade wooden wine bottle gift box laser engraved with Birthday age and celebration balloons. Option to also have the gift box engraved with a personalised message. 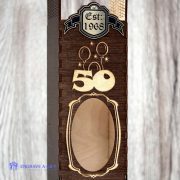 This beautiful champagne/wine bottle gift box which we lovingly designed and put together by hand in our workshop, has a stunning gold embellishment attached at the top in the shape of a crest with a banner through it. 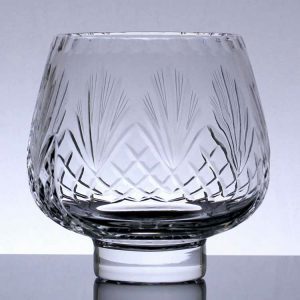 In the centre is the word ‘Est’ laser engraved followed by the year. 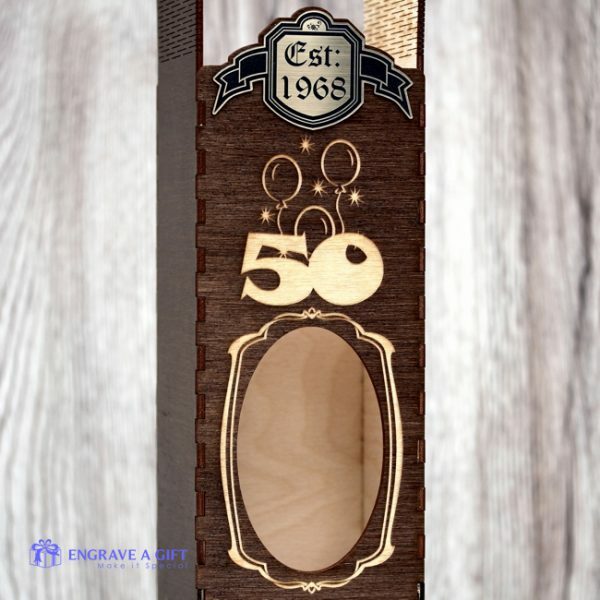 Below is a design laser engraved with celebration balloons and birthday age. A hole is cut out of the wine bottle gift box for the purpose of revealing part of the bottle label. 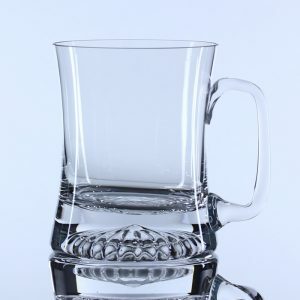 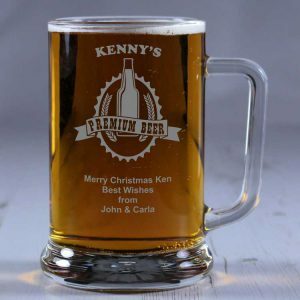 A stunning design is engraved around the hole and an option to further personalise it with a message below. 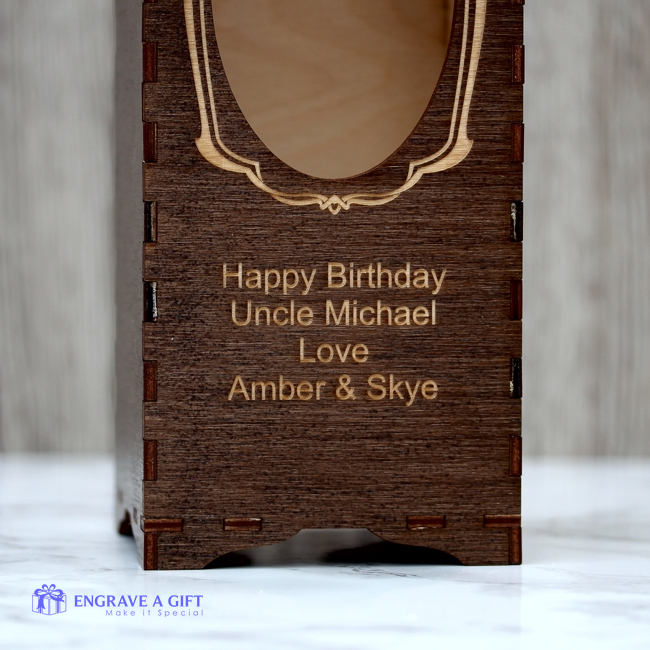 Made from Birch wood this wine bottle gift box will hold a standard 75cl bottle of wine or champagne and most other bottles of similar size. 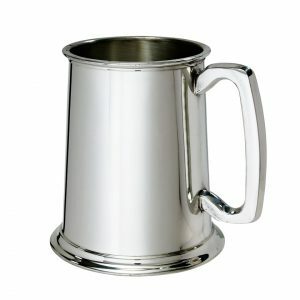 An ideal personalised gift for any Birthday and makes a wonderful keepsake that will be treasured.